The Undertaker will make his Wizard World debut at Austin Comic Con on Friday, October 3, as announced by Wizard World, Inc. (OTCBB: WIZD). He will sign autographs and pose for photo opportunities from 4:30 – 8:30 p.m.
For more than two decades, The Deadman has loomed over the WWE landscape like a menacing shadow, spelling out doom for those who dare cross him. Imbued with seemingly mystical abilities and preternatural in-ring ability, The Undertaker is a WWE great in a class by himself, and no list of legends would be complete without him. First introduced at Survivor Series in 1990, it wasn’t long before he began to battle with WWE Hall of Famer Hulk Hogan. This clash set the tone for Undertaker’s dominant career. No one was too big and no one was safe from his gloved grip. 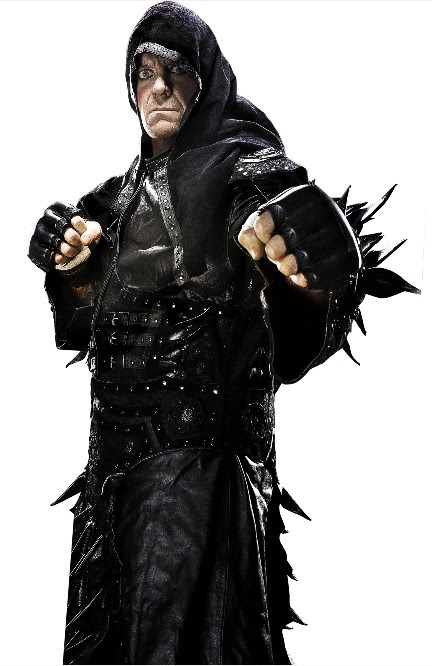 The Undertaker joins such noted pop culture figures as Norman Reedus and Michael Rooker of “The Walking Dead,” Morena Baccarin (“Homeland,” “Stargate SG-1”), Karen Gillan (“Doctor Who), Evan Peters (X-Men: Days of Future Past), Katie Cassidy (“Arrow,” “Gossip Girl”) and others currently scheduled to attend Wizard World Austin Comic Con, set for October 2-4 at the Austin Convention Center. Additional celebrities will be announced in the coming weeks. Wizard World Austin Comic Con is the 13th of 16 events scheduled in the 2014 series produced by Wizard World, Inc. and will also feature a top-drawer collection of well-known comics artists and writers and a variety of activities, exhibitors and special attractions. Show hours are Thursday, October 2, 4-9 p.m.; Friday, October 3, 2-9 p.m.; Saturday, October 4, 11 a.m.-8 p.m.
Usagi Yojimbo: Senso #1 Review: What Happened Here?